Linda Alexander Law specialises in Wills & estate planning, self managed superannuation funds, Will disputes & family provision claims and property & conveyancing. Linda Alexander is originally from Cootamundra, a town in regional New South Wales where she still has family and visits frequently. Linda was admitted as a solicitor in the Supreme Court of NSW in 1994 and has a Diploma in Law and a Graduate Diploma in Legal Practise. Being a practicing lawyer for nearly 25 years, Linda’s experience is extensive. Linda spent many years with JMA Legal Business Lawyers – a mid-sized commercial firm with a footprint across NSW, where she maintained their Sydney office as director/shareholder. 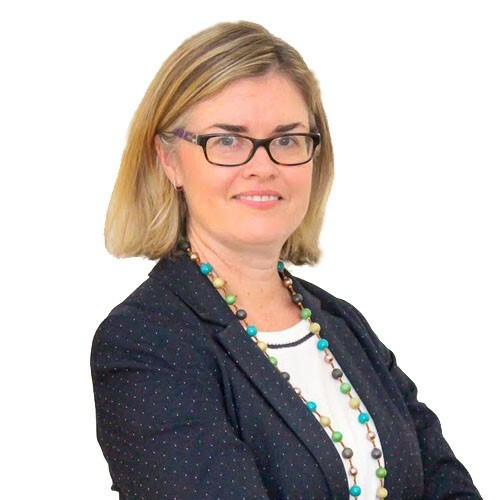 Linda has handled a large array of matters from establishing and restructuring business structures, establishing, updating and advising on self managed super funds (SMSF) including limited recourse borrowing and transferring business real property documentation. In addition, Linda has general commercial experience with advising and drafting shareholder agreements, liquidating and deregistration of companies, share buybacks and business purchase and sales. Linda has also provided clients with advice on trusts and has amended hundreds of deeds to address different issues for discretionary, unit trusts and superannuation deeds. Over the years, Linda has developed a particular interest in helping people with their estate planning which includes not only a client’s Will but looking at their financial affairs in its entirety, often speaking with the clients’ accountant to ensure all assets and entities are dealt with in way that suits the clients’ expectations. Linda’s commercial knowledge is well placed to assist in the estate planning arena. With ‘blended’ families becoming increasingly prevalent in society an understanding of the family provision laws is important to work into any estate planning discussion. Linda has decided to focus on what she enjoys doing the most, Wills, estate planning, family provision (or Will dispute) advice, SMSF and general property work & conveyancing including rural land purchase and sales. Linda is a member of the Law Society of NSW, admitted as a solicitor in the Supreme Court of NSW and is listed on the register of the High Court of Australia. Linda is also a member of the Self Managed Super Fund Association. Linda and her husband, David have three teenage children and live on the north shore of Sydney.